Enjoy the evergreen melodies of Santa Uzir. Collection of Folk based Assamese modern songs. 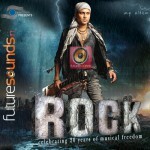 Listen to sample songs, buy and download the album at Future Sounds.